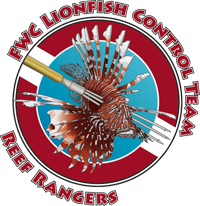 Earth Day: Saving our Reefs from invasive Lionfish Jewish JournalLionfish have invaded the Caribbean and they have no natural predators. Want to get involved? Here are people who are working to save our seas! Full Fathom Beretta: Divers Find Deep-Sixed Pistol (VIDEOS) Guns.comA group of divers poking around a Florida pier found a pre-owned Beretta pistol with some finish issues along the ocean floor. Divers take aim at underwater trash and find gun on ocean floor Sun SentinelA group of divers found a handgun on a recent dive off Lauderdale-by-the-Sea. It isn't the first time that has happened.